Donat Trailer with its long-term experience in the trailer manufacturing industry offers a comprehensive range of Trailers & Semi-Trailers such as: Fuel and Gas Tankers, Tankers for special purposes (bitumen, different chemicals and oil products, food), Dry-bulk Trailers, Tippersand Lowbed semi trailers. 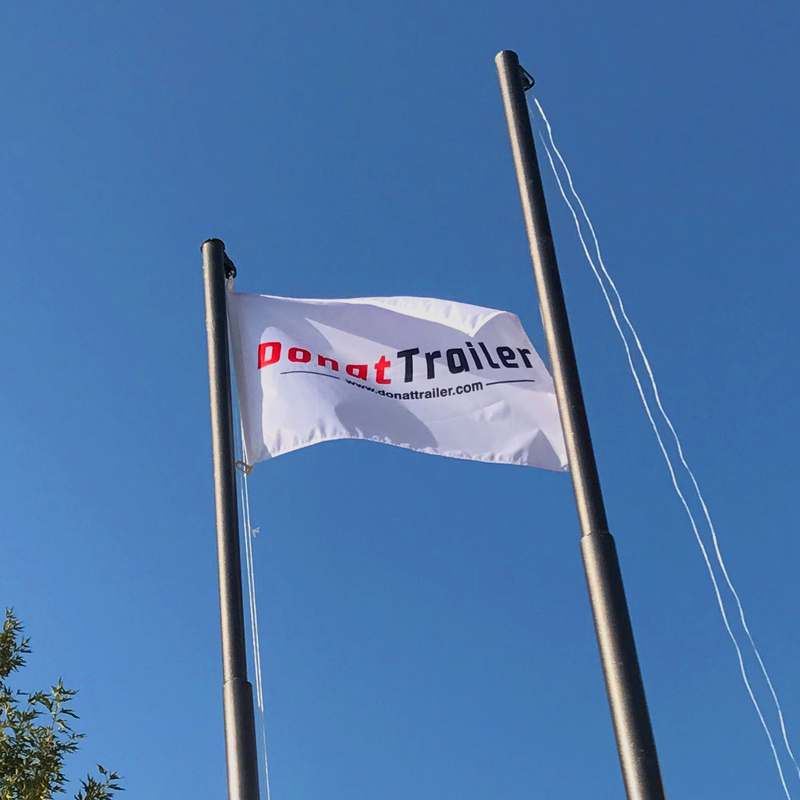 Donat Trailer means Reliability, Experience and Professionalism. Vision: To become the most preferred company to work with in the trailer industry. Mission: To satisfy the needs of our clients by supplying quality, cost-effective and efficient trailers, providing complete solutions before and after sales including engineering, manufacturing and delivering trailers to our clients. No matter what your requirements are, we do all possible to meet your needs. We guarantee quality by choosing best raw materials from trusted suppliers. We use modern technology to achieve high-quality and quality control is applied on every step of manufacturing process. We are committed to offer the best prices and the most cost-effective trailers to our clients. We are with you from engineering to manufacturing and up to delivering the trailers. Huge range of trailers and big capacity for manufacturing special trailers according to your demands. Quick response to your requests, helping to choose best solution for your needs, on time manufacturing, reporting on every step, on time delivery and remarkable after sales. Based on the needs of our clients we are also offering used trailers and semi-trailers in very good condition.